Fashion Design and Fashion Merchandising and Management students presented their final projects to top executives at Li & Fung’s New York City office. Fashion students spent this semester in an innovative immersion course that provides hands-on experience in the New York fashion industry by meeting with top industry professionals, visiting fashion houses, attending New York Fashion Week and collaborating on possible new product designs and merchandising concepts. 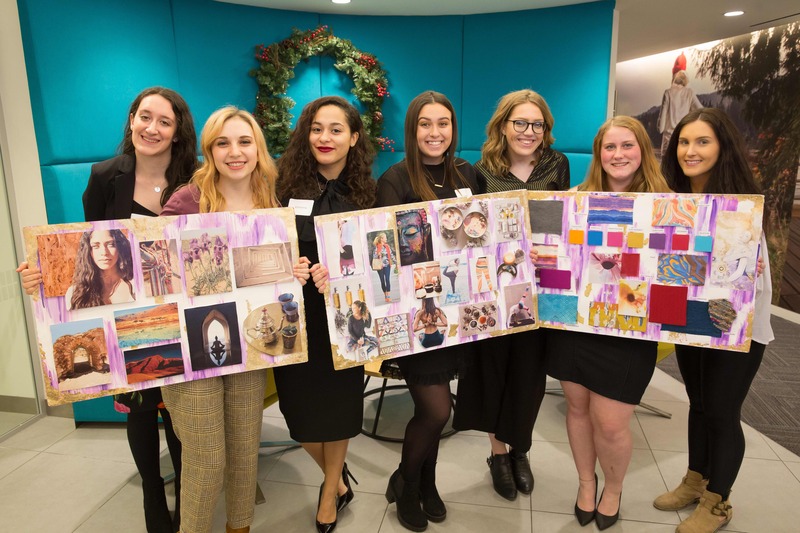 As part of the course, 39 Fashion Design and Fashion Merchandising and Management students presented their final projects to Rick Darling, executive director at Li & Fung, and other top executives at the company’s New York office on Dec. 8. Throughout the semester, students collaborated with design and merchandising experts at Li & Fung. 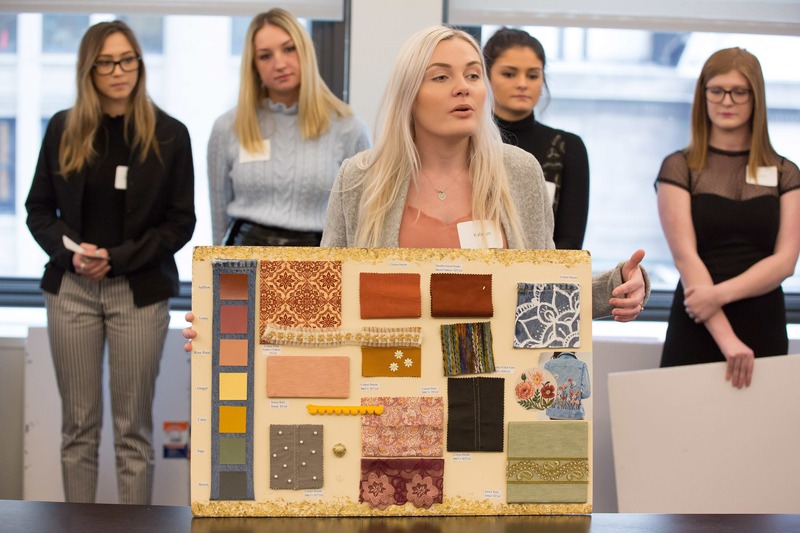 Throughout the semester, students collaborated with design and merchandising experts at Li & Fung. 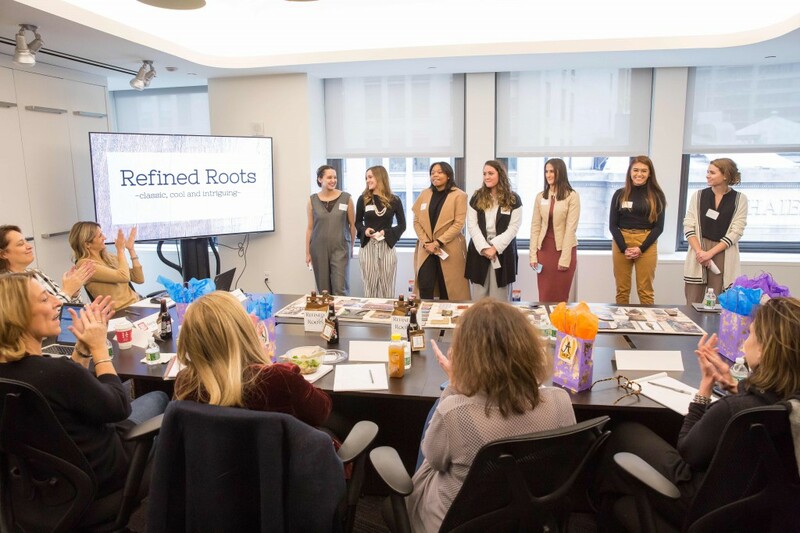 Six teams of students presented projects centered on finding open markets in various product categories for Anthropologie. While Li & Fung—a global multibillion-dollar apparel supply chain leader—doesn’t actively work with Anthropologie, it’s using the course as a platform to cultivate a business relationship with the company, Wyatt said. After the presentations, Darling told the group, “We need to infuse this type of talent into our company.” In fact, the University plans to soon offer an internship program at Li & Fung for students. The New York immersion course built sophomore Katelyn Adamson’s confidence in the business world. Fashion Merchandising and Management student Julia Allison said the course helped her develop her professional speaking and teamwork skills. Jefferson’s highly regarded fashion programs regularly rank among the best in the world. For example, the influential fashion web site Fashionista recently placed the University’s fashion programs in the top 25 globally and top 10 in the United States. In addition, in the Global Fashion School Rankings 2017, Jefferson’s graduate fashion business program—which includes Global Fashion Enterprise, Strategic Design MBA and Fashion Design Management—ranked No. 3 in the United States and No. 6 internationally; the graduate fashion program—which includes Surface Imaging, Textile Design and Textile Engineering—ranked No. 3 in the United States and No. 23 internationally; and the undergraduate fashion program—which includes Fashion Design, Textile Design, Fashion Merchandising and Management, and Textile Materials Technology—ranked No. 9 in the United States and No. 31 internationally.